Wild Eye Releasing recently send us over information for their upcoming release of the documentary "The Search for Weng Weng". The film focuses on 70's cult film star Weng Weng and the director's search for the elusive actor. Special features on the DVD includes a feature-length commentary with director Andrew Leavold, extended and deleted scenes, an "I Love Weng Weng" music video, trailers and more. 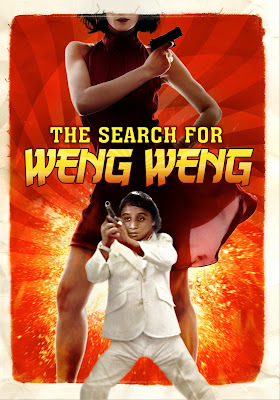 "The Search for Weng Weng" is now availableon DVD, VOD and Digital HD. Wild Eye Releasing is honored to announce the Collector's Edition DVD, Cable VOD and Digital HD release of The Search for Weng Weng. The documentary charts the sometimes bizarre history of Filipino B-films, as told through filmmaker Andrew Leavold's personal quest to find the truth behind its dwarf James Bond superstar Weng Weng (For Y'ur Height Only, The Impossible Kid). Weng Weng took the movie world by storm in the 1970s, and who has since become a viral internet sensation.